Hope everyone is off to a great start in 2017! I can’t believe how fast January has come and gone. 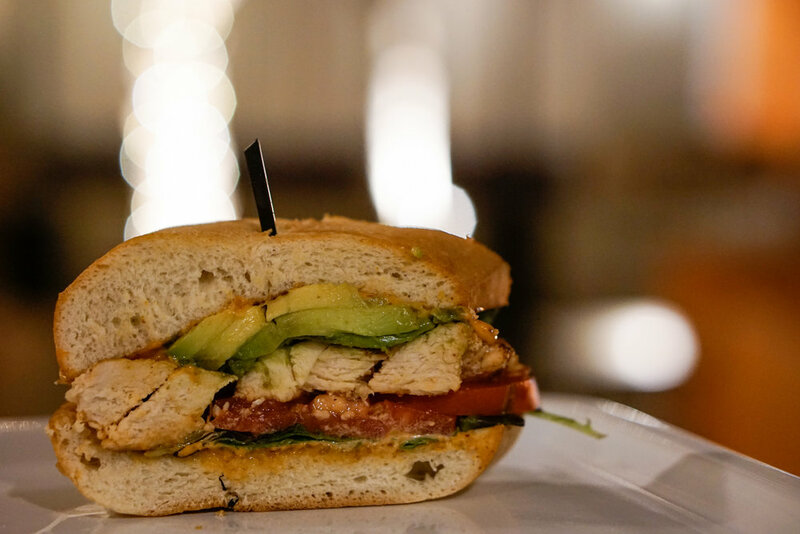 January has been quite eventful in terms of various collaborations and diverse food events! Here is my recap! 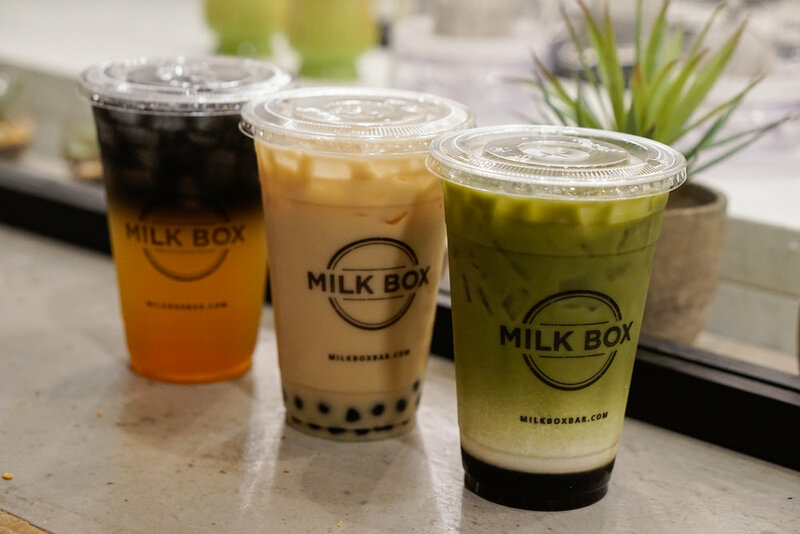 I had been a big fan of Milk Box ever since I came across their booth at a Yelp Elite event last year. 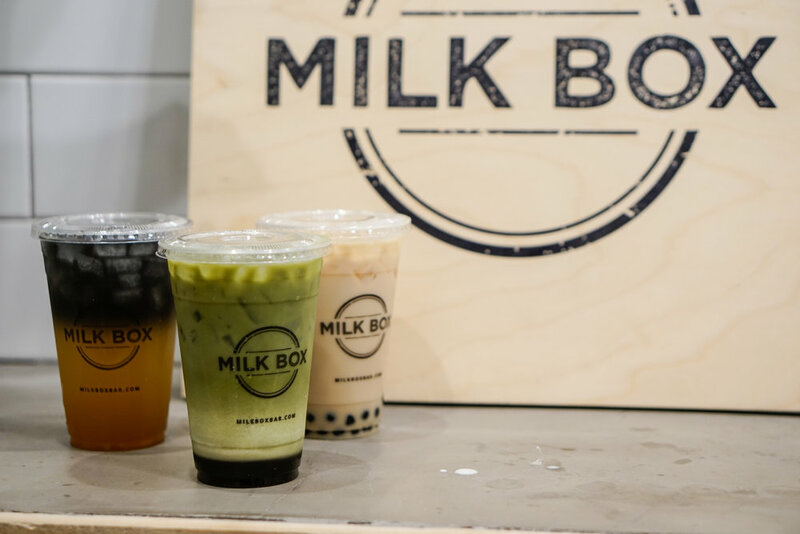 The milk teas we sampled were so delicious that I had been anxious to try them again ever since. They opened a location in Mission Viejo shortly after that event, but I was happy to hear that they opened a second location in Tustin! When I got the invite, I was more than happy to drive there to see the new location, and it was an opportunity to visit the Union Market shopping center, which was not often for me. 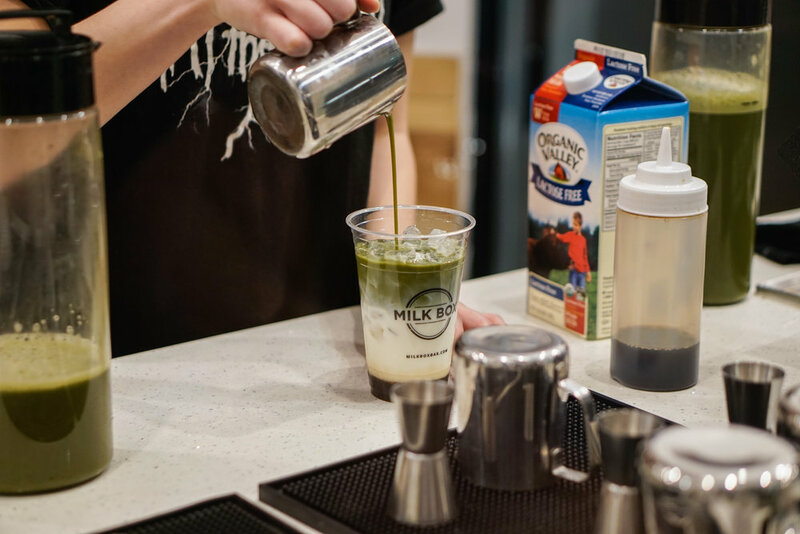 I got to try a good variety of drinks: Matcha Milk Tea, Earl Grey Lavender, Passion Fruit Green Tea with Activated Charcoal, Peach Oolong Milk Tea, and Black Sesame Matcha Milk Tea. My favorite would have to be the Matcha Milk Tea! At the event, each person got to take home a cool hat! I have returned few more times since that event for their delicious drinks! It was great to try a poke place that had such a diverse menu. 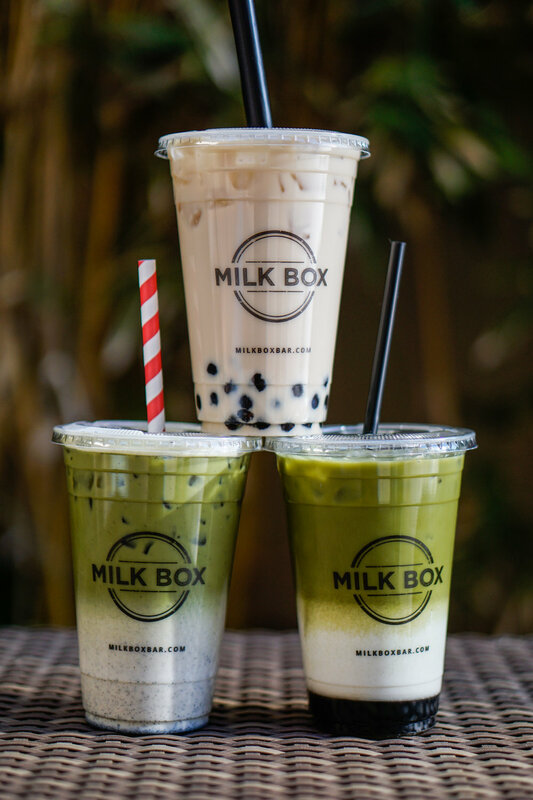 This location opened in October 2016 and, like Milk Box, was the restaurant’s second location, with the original location in Irvine, CA. 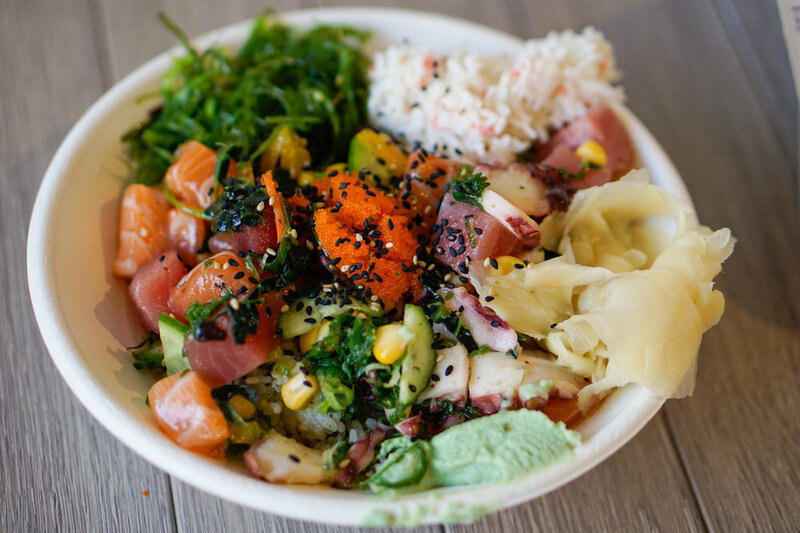 The menu was very innovative and fun; in addition to build your own poke bowls, the menu included poke tacos, different types of fries, clam chowder, and grilled seafood plates. 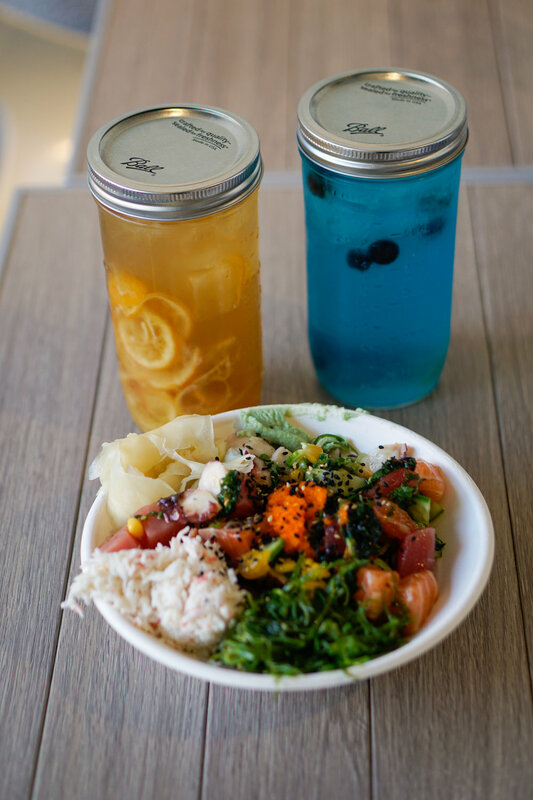 We got the House Lemonade, H2O Signature Lemonade, a Build Your Own Poke Bowl, Tropical and Baja Poke Tacos, and Jumbo Shrimp plate with fries. I saw that other foodies got the Clam Chowder Fries, which looked so tasty that I would have to come back again to try them! Popcorn Chicken LA invited me to come try their food and drinks, and I was so happy and surprised that there was Taiwanese popcorn chicken place in Sawtelle! 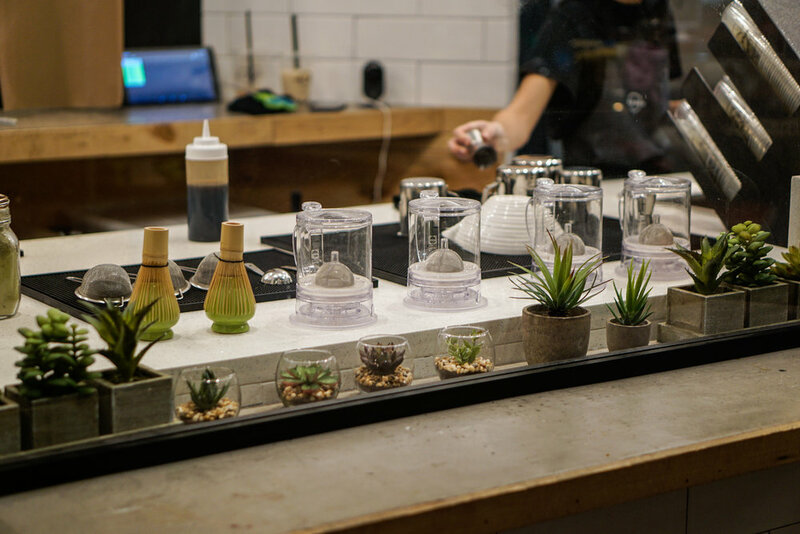 I had not seen that many of these types of cafes in Los Angeles ever since I moved from San Gabriel Valley, where there these cafes were more common. The menu was simple and the restaurant was a full house, with customers ranging from people who came in just to enjoy drinks and to chat, to families who came to enjoy a Taiwanese meal. We got the Popcorn Chicken, Chicken Wings with Salt and Pepper, Hokkaido Milk Tea, and Hawaii Tea. 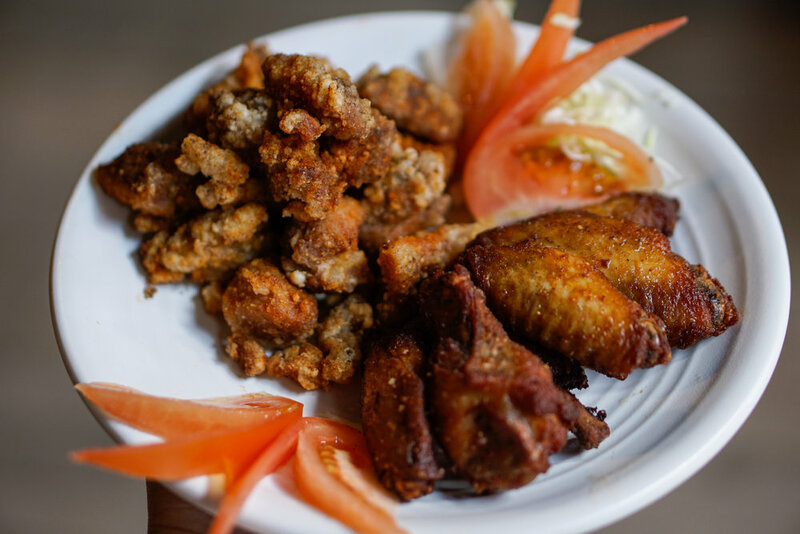 Everything was so delicious; my favorite item was the chicken wings! We were invited to an event held by the Claremont Chamber of Commerce at Hotel Casa 425 to welcome us to Claremont and to celebrate the start of Restaurant Week. Claremont was participating in California Restaurant Month and had their Restaurant Week from Jan 16-29. As part of the celebration, we enjoyed some cocktails and appetizers around the fireplace at Hotel Casa 425’s beautiful courtyard. It was so fun to explore this part of town! We came to try out their extensive menu and their fun cocktails. 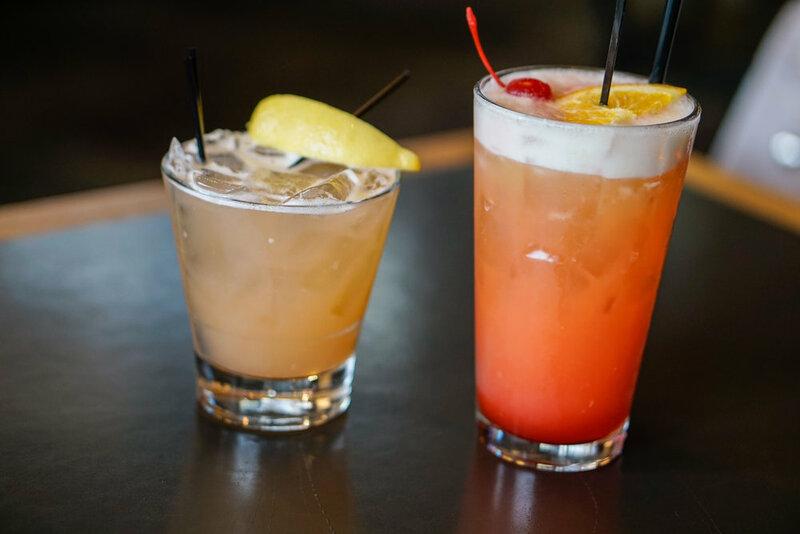 I had previously visited the restaurant during happy hour for a social gathering, so I was already in love with their appetizers and drinks. 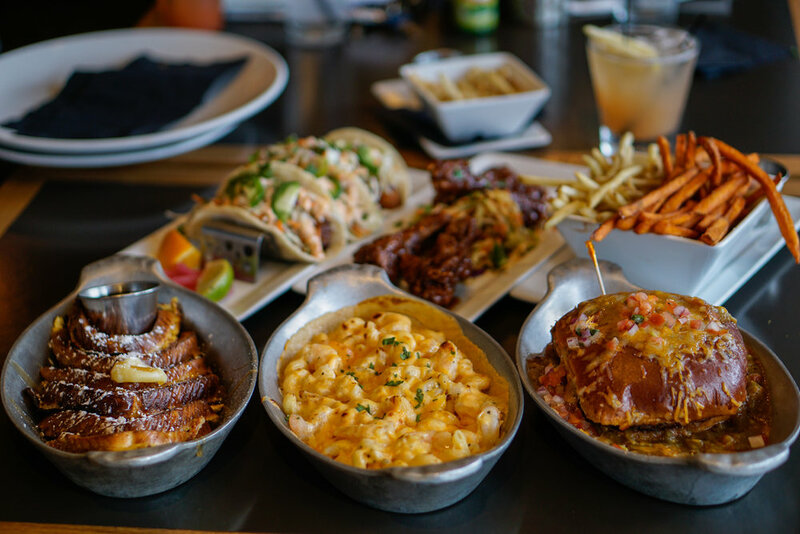 However, I did not know they had brunch items and I had not tried many of the other appetizers or burgers, so I made sure to explore more of the menu this time around. We first ordered Jerry’s Mai Tai and Tai Chi Chai Tea; it was raining heavily and it was a Sunday morning, so we figured, why not? Then we had the Lobster and Shrimp Mac and Cheese, Fries Two Ways, Pork Belly Banh Mi Tacos, Xiangxiang Crispy Duck Wings, Salted Caramel Skillet French Toast, and Hangover Slopper. Just sampling from every dish made us so full that we took a lot of the food home. It was such a filling and fulfilling tasting experience and I would definitely recommend people to try out menu items, in addition to happy hour! In August of last year, I had the pleasure of visiting Enjoyer on two occasions, and was happy to receive an invitation to stop by again. 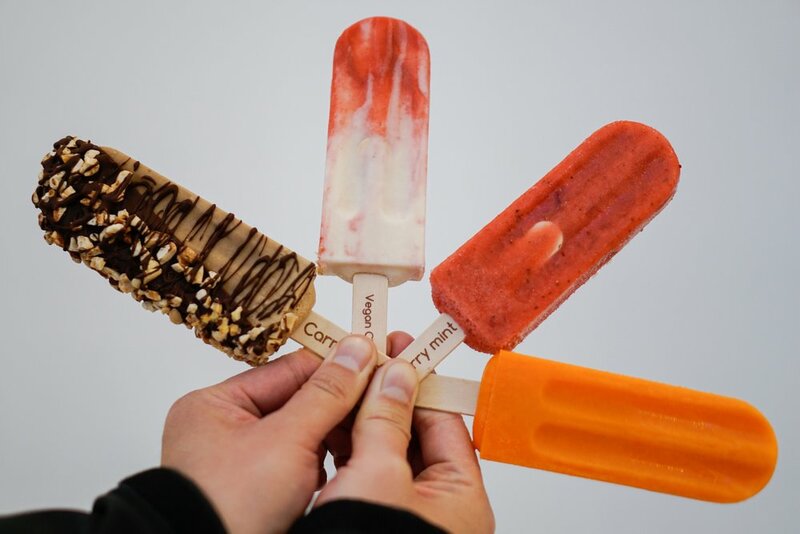 This time, they were promoting the fact that they are L.A.’s first vegan ice cream with free delivery, and 42 flavor selections! With each visit, I have found that there were always new flavors I had not tried before. This time, we tried Caramel Cafe, Vegan Cheesecake, Strawberry Mint, Tangerine, Black Currant, Mango Tajin, Avocado, and Pina Colada. This visit was different because a lot of the items no longer had dairy in them, as Enjoyer had been striving to toward being a fully vegan ice cream shop. The ice cream bars tasted amazing, and I could not tell that they were vegan! It was so nice to see that Enjoyer was doing well and that they are always evolving and developing new ideas for their company. That Agency reached out to me on behalf of Natura Wines (www.naturawines.com) to promote their vegan-friendly, organic wines. I had never had organic wine before, and was very curious to try it. They sent me two bottles, a Chardonnay and a Rose, to try. I loved how crisp and clean the two wines tasted, and from reading the backstory of the company, I could appreciate their quality! The wines came from Emiliana Organic Vineyards, an organic winery that does not use pesticides, herbicides or fertilizers. The grapes they use are organically grown. Organic wine was not something I would have ever considered buying prior to this collaboration, since I never thought “organic” was ever an option when it came to wines. This was such a great opportunity to sample a product from a company that cares about the quality of ingredients they use, as well as the effects its production on the environment! I loved that the boxes were shipped to me surrounded by a protective styrofoam case. The best part of the wines was not only their taste, but the fact that I did not need a corkscrew to open up the wine bottles! Go check them out at www.naturawines.com. Halo Top Creamery invited me to sample their ice creams, which I had been wanting to try ever since I saw them at my local grocery store! With Halo Top Creamery being packed with protein and low in carbs and sugar, I was looking forward to eating ice cream without the guilt. I only tried the Black Cherry so far, and it had a lot of fruit in it and it tasted delicious! I loved that they had a lot of awesome flavors to choose from, although the stock was different in each grocery store, and that their website had a map to show people which stores near them carried Halo Top Creamery ice cream.